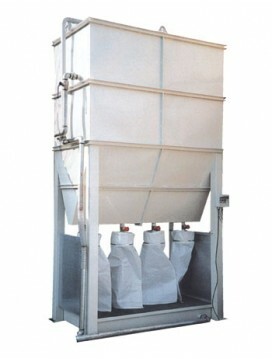 Benefits:- The recycling and the clarification process of water- The separation of slurry from the water- For saving water reducing the consumptionWhy choose it:- It eliminates the high costs to build the decantation tanks- It decreases and optimises.. 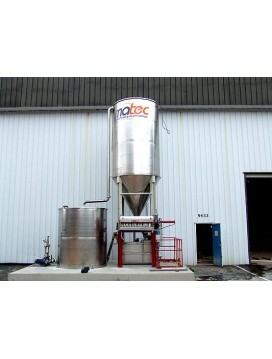 The sludge dehydrator solves the problem about the sludge, discharge, by making muds solid, accordingly to the law. 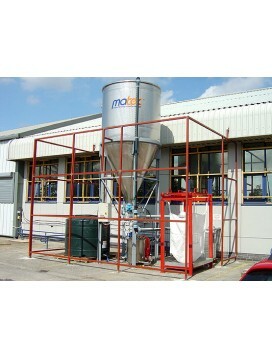 The mud which is clarified in the basins or in the silos, is pumped up to a special distributor - placed right above it - and the..
To fulfill the requirements of small- and medium-size marble workshops, Matec produces plants for the purification of wastewater and sludge flows (up to 400-500 l/min), with the same quality standards and obtaining the same clarification levels that .. In marble, granite, and stone working, either in quarries or workshops or stone processing factories, water has multiple applications. 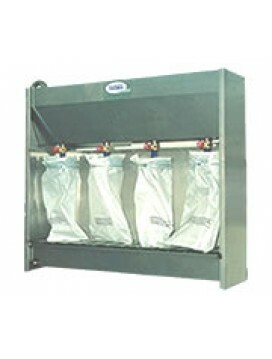 From cutting to polishing, water is necessary to avoid the over-heating of tools and reduce dust produced in variou..